Y’know how sometimes you’ll search for something, and then a few suggested/related search terms will catch your interest, and then you’ll completely fall down the Google rabbit hole, wasting far too much of your life on pointless web-surfing? This happened to me recently. I was searching for a particular movie still I’d seen before, but I couldn’t remember the name of the film, so I searched for the actress. Into the list of related terms popped “so and so lookalikes,” which I clicked on out of curiosity. From there I was suggested “celebrity lookalike cartoons,” which came up with a collage of modern celebrities as Disney princesses. 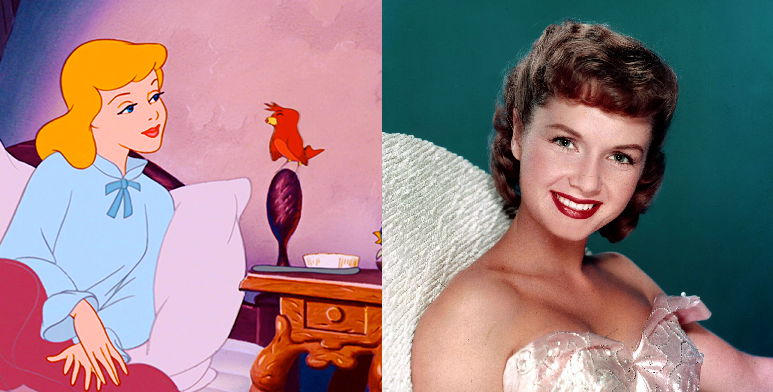 Naturally, as a classic film-obsessed gal, this got me thinking about which classic film actresses I would choose to fill the shoes of the many Disney princesses, and my classic dream cast was born. Obviously, since many of these princesses originally appeared in films released within the past 25 years, these casting choices exist in an alternate universe where time travel is possible for the purpose of actors appearing in live-action versions of animated films from different eras. We’re also going to assume that these live-action remakes feature the princesses as twenty-somethings because none of the actresses I chose were child stars. I’ve included all 11 of the “official” princesses. (Sorry, Frozen fans, but Anna and Elsa are still princesses-in-waiting.) Here are my choices! 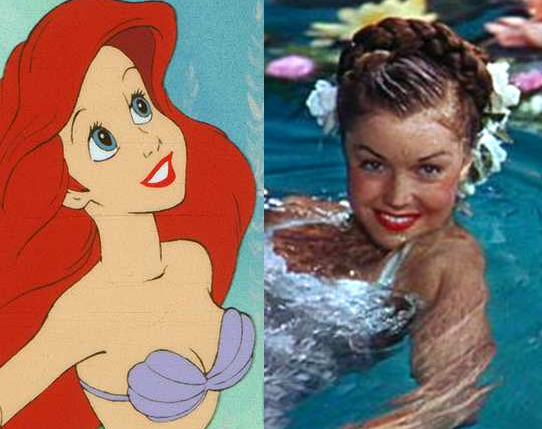 Since Ariel comes from “under the sea,” the natural choice for her could be none other than Esther Williams, actress and incredibly talented swimmer. Esther starred in a film called Million Dollar Mermaid; Ariel is a mermaid that has made millions of dollars for Disney. If that’s not a sign that Esther is perfect casting for a live-action Ariel, I don’t know what is! How fun would those underwater musical numbers be to watch? Ann Blyth is my choice for Aurora. I know what you’re thinking — Veda Pierce? Really, Lindsey? But hear me out! Ann Blyth was great in her dramatic films, including Mildred Pierce, but she was also great at sweeter roles, like her turn as a mermaid in Mr. Peabody and the Mermaid. Ariel is too similar a role to her “Lenore” of Mr. Peabody for me to cast her there. I think Aurora is a good fit, if we give her a blonde wig. Blyth could breathe some charm and personality into the character often thought of as one of Disney’s dullest. Perhaps the story could be altered slightly to turn Aurora into a formidable foe for Maleficent… just as Veda was a formidable foe to her mother, Mildred (Joan Crawford). Belle is my favorite of the princesses. As a child, I had a cat named after her. Because I’ve always liked her so much, she’s the most difficult for me to cast! After much thought, I think that Olivia de Havilland would be a great choice. Belle loves to read and has a sophistication about her — and “sophistication” is certainly a word that comes to mind when I think of Olivia. Cinderella is a character that requires a whole lot of sweetness, but also a whole lot of resilience as she deals with the trials and tribulations of living under the rule of an evil stepmother. My choice for this role is Debbie Reynolds — an actress who is always adorable, cheerful, and lovable on screen, and able to put a smile on even in difficult situations. I can absolutely picture her making friends with mice and singing her way through her endless chores. I mentioned a moment ago that I had a cat named after Belle when I was younger. My sister had a cat, too, named Jasmine after her favorite Disney character. Jasmine is from Agrabah, a “city of mystery,” and has a pet tiger (which is probably why my cat-obsessed sister liked her so much). Asha Parekh is my choice for this one. 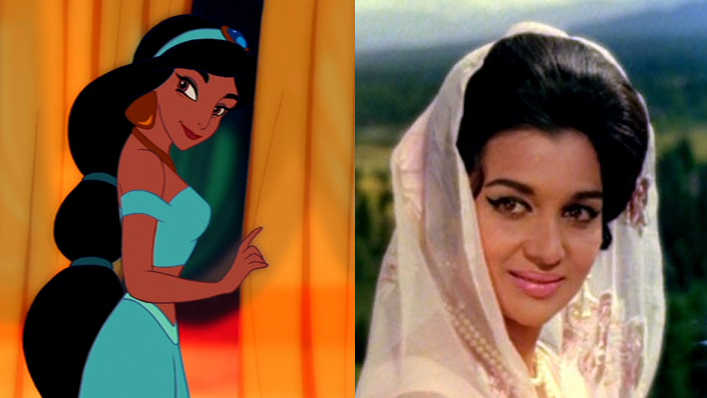 As a veteran of Bollywood romances could easily pull off both the musical numbers and the Jasmine/Aladdin sweetness. One needs only to watch “Itna Na Mujh Se Tu,” a 1961 duet from one of her films, to be convinced of her ability to master a duet. Who’s got all of the red hair and gumption but none of the Scottish blood required of a life-action Merida? Maureen O’Hara, that’s who! She’s Irish, not Scottish, but I could think of no other actress as capable of filling Merida’s spunky, passionate, outdoors-y shoes. O’Hara starred in many a Western, so she’s no stranger to weapons. I’m sure she could take on Merida’s bow and arrow, especially if the character’s age was upped a few years in the live-action version. There are many great options of actresses to play Mulan. China had an active film industry (beginning at the turn of the 20th century), and a few Chinese-American stars like Anna May Wong found work in Hollywood. Xu Lai, actress and secret agent, is my pick. Yes, secret agent — your eyes aren’t deceiving you! I’ve unfortunately only seen one of Xu Lai’s films, but I was impressed by her in The Boatman’s Daughter, and her personal life story is both fascinating and heartbreaking. In 1935, her daughter passed away suddenly and she got divorced; in the 1940s, she served as a spy, befriending the wives of powerful men in order to dig up information on Japanese troop movements and spies; she was imprisoned by Jiang Qing on erroneous charges during Mao’s reign, and later died in prison. 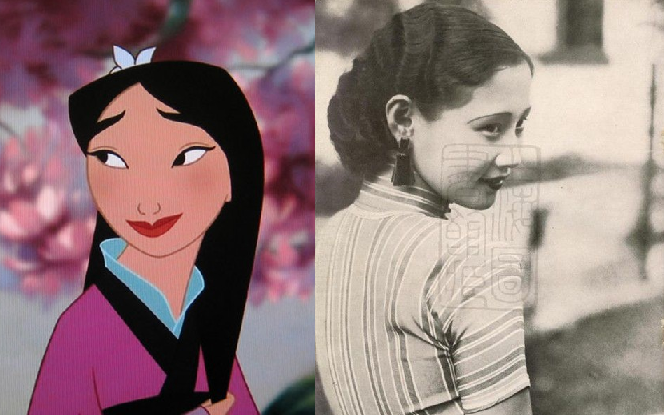 During her time as an actress I’m sure Xu Lai had no clue that her life would follow such a dramatic path, but in hindsight, her bravery makes her a great fit for the honorable character of Mulan. I’m going to skip casting this one for a few reasons. First, I’m all about accurate casting and sadly am not aware of any prominent Native American actresses from the classic Hollywood era, despite my many years of movie-watching and several hours spent scouring the internet to research this post. (Leave suggestions in the comments if you know of any. I’m not going to follow in classic Hollywood’s footsteps by casting an actress of European descent in this role. That’s one of my movie pet peeves.) 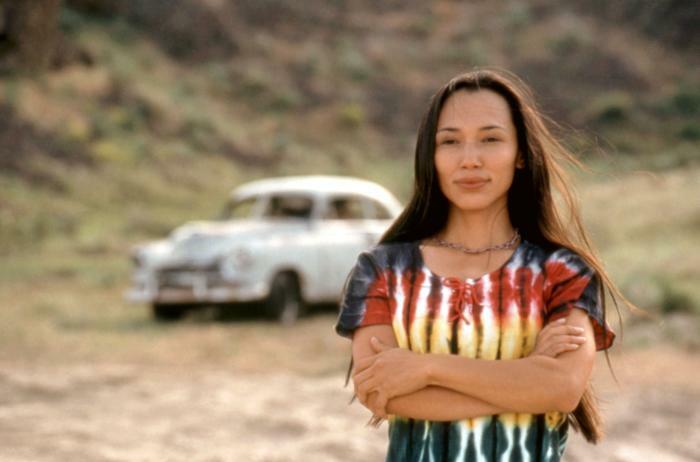 Second, I love Irene Bedard. Instead of remaking this one live-action, we’ll give the fictional money to Irene’s production company. The first of the Disney princesses, Snow White is a girl who runs away from home to escape the wrath of her stepmother (who wants her dead!) and is aided by seven dwarves living in a cottage in the woods. Originally I pegged Judy Garland for this role — she once travelled to the Emerald City with the help of a few friends, after all — but I later decided I liked Jane Wyman for it. She has more of a Snow White-ish face and is such an underrated actress. I’d love to see her get the starring role in my dream live-action adaptation. 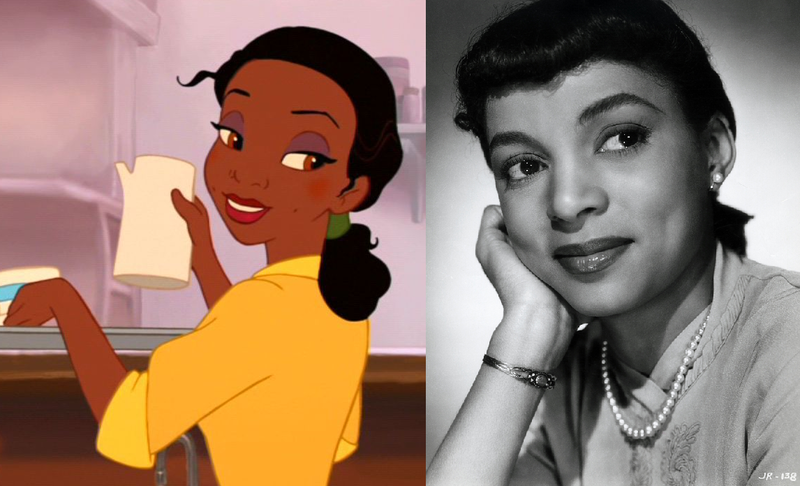 Ruby Dee was a multi-talented woman — a writer, an actress, an activist. I find her hugely inspiring, which is why I think she’s a perfect choice for one of the more recent Disney princesses, Tiana. We’ve seen Disney put forth some effort to change its princess formula from “damsel in distress” tales to stories about stronger, more complex, more diverse young women. Tiana is an ambitious, hard-working woman living in 1910s New Orleans. I would love to see early/mid-1950s Ruby given a role like this, just as her movie career was starting to pick up speed. Who would you choose to fill the shoes of the princesses? Feel free to leave your own picks in the comments! I was covering the actresses’ pictures with my hand to try and guess who they could be and I guessed Olivia de Havilland, mainly because she would have been my choice as well. Great post, as always. I think I would have picked Jeanne Crain for Cinderella. 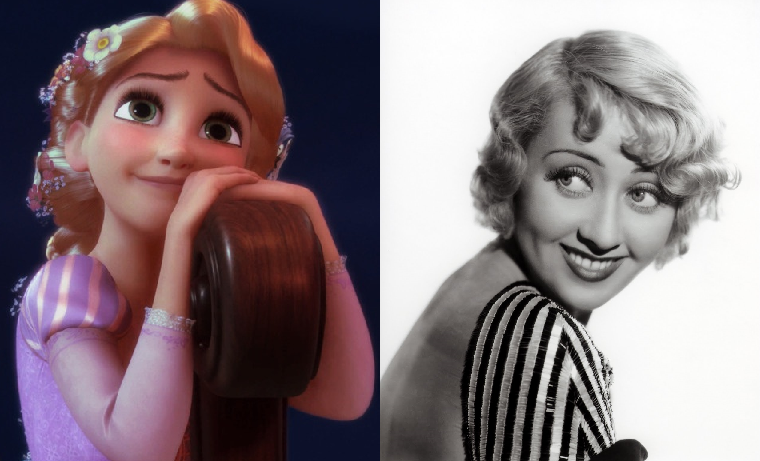 Just seems fitting :) Oh and I also liked Joan Blondell for Rapunzel! Great post! I love your picks. 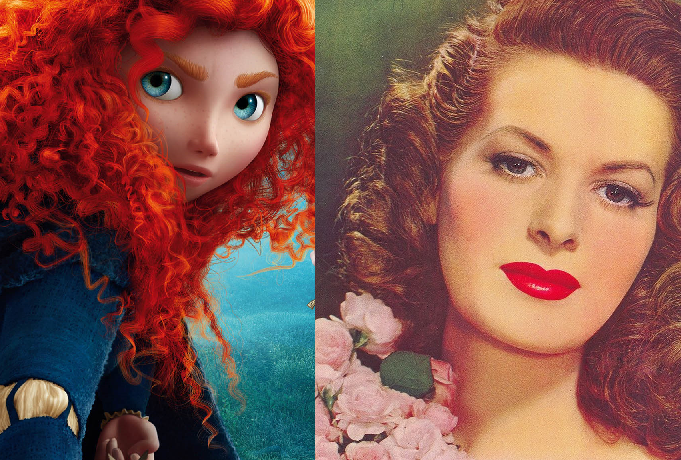 Maureen O’Hara would be PERFECT as Merida. 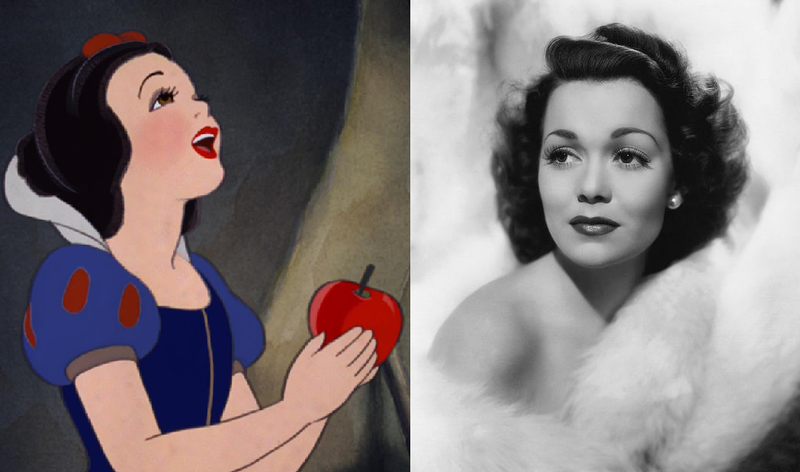 Judy Garland was my first thought for Snow White too, or maybe a young Elizabeth Taylor. I had Julie Andrews in mind for Cinderella (probably because she played her in the Rodgers and Hammerstein TV version). And I think Vera Miles would be good as Belle. Oh, you’re welcome! Your blog is great. I look forward to catching up on more of your posts. Elizabeth Taylor and Vera Miles — interesting choices! Those didn’t even cross my mind when I was making this list, but they’re both great options! 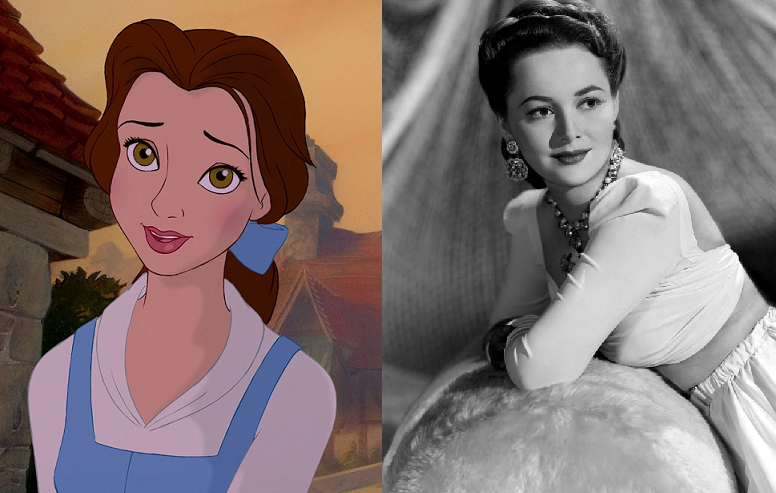 These are GREAT choices, I especially love de Havilland as Belle and Blondell as Rapunzel. I would not have thought of the latter, but she’d have been great. 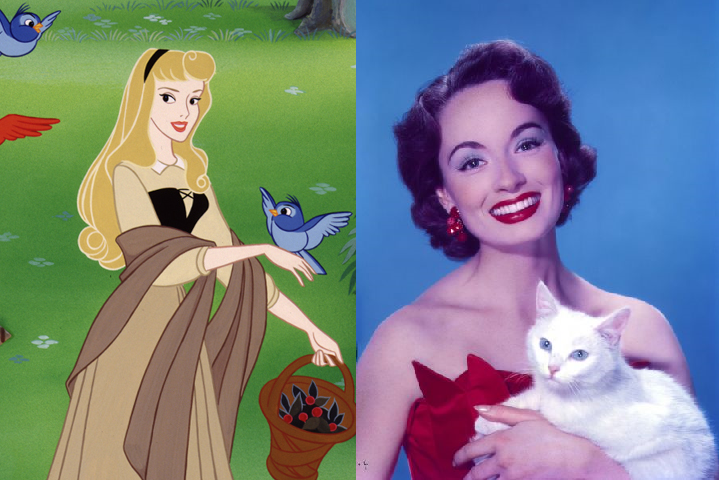 The only other possibilities for Snow White I’d like to see are Vivien Leigh or Elizabeth Taylor. Thank you for a great pondering read. I think you all have done a wonderful job of casting. I always enjoy your thoughts on movies..old and new. Keep up the good work! Thank you! Glad to hear you enjoy the blog!